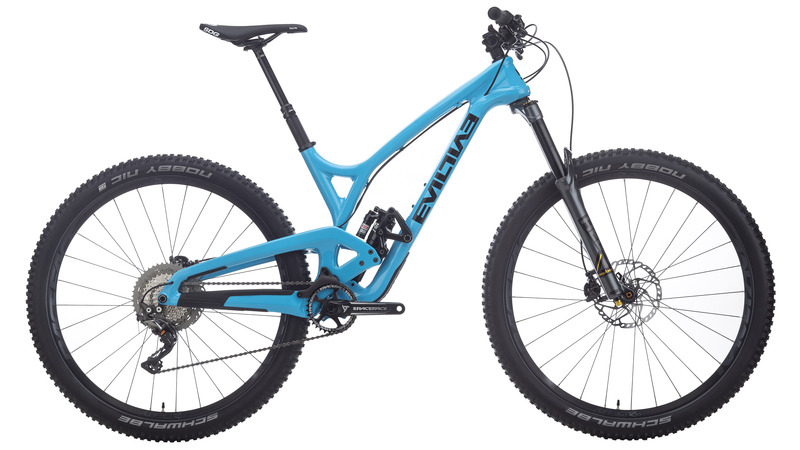 Full suspension mountain bikes have revolutionized the way mountain bikers ride their bikes. 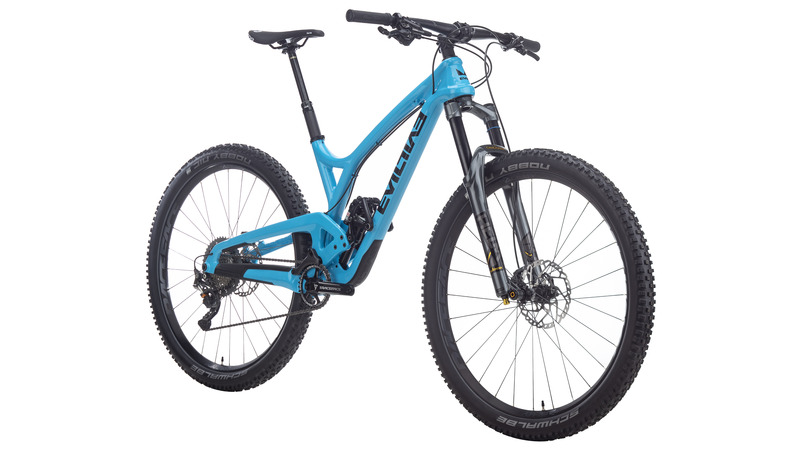 A full suspension mountain bike provides more control and stability than a hardtail mountain bike. This allows riders to ride more aggressively. Most people think the word "evil" holds a negative connotation but Evil is definitely good. The Evil The Wreckoning XTR Jenson Bike is an Enduro mountain bike that is designed to handle the roughest trails around. It has 160mm of travel on the front and rear which makes this perfect for descending without sacrificing its ability to climb efficiently. 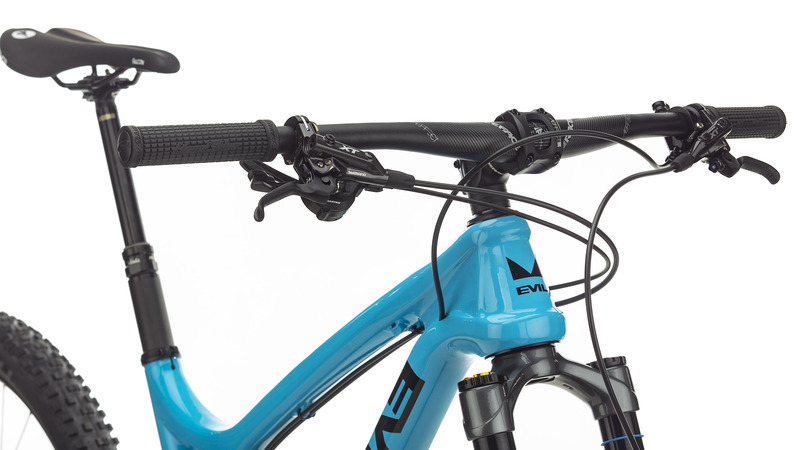 The frame features Evil's Delta System which increases lateral stiffness. The Wreckoning also features a downtube protector, integrated chainguide, internal routing, and an integrated sag meter so you can set your rear suspension easily. 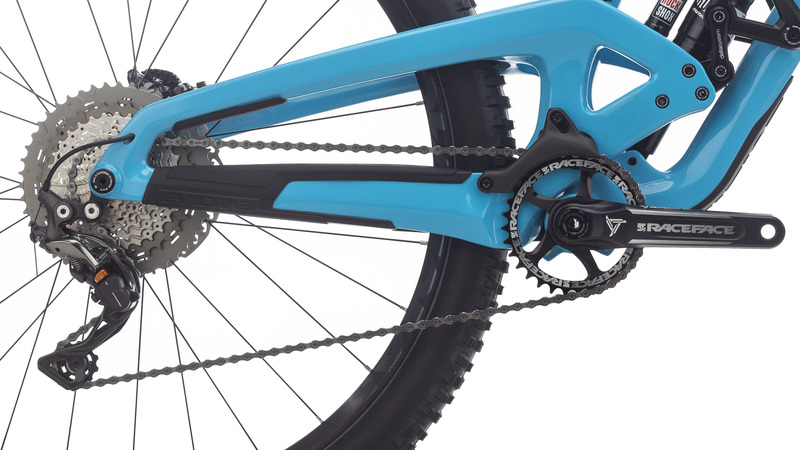 The Jenson USA exclusive build features a Shimano XTR 11-speed shifter and rear derailleur. This is paired with a Shimano XT cassette with an 11-46 tooth gear range. This provides an excellent range of gears to use for climbing without sacrificing the downhill capabilities. When you're bombin' down the hill, the Shimano XT M8000 hydraulic disc brakes provide the confidence-inspiring stopping power. The wheels are provided by RaceFace. The RaceFace Aeffect-R 29" wheels provide the big wheel power that many riders love and the Cane Creek Helm 29" Air Fork means you'll have an incredibly smooth ride the entire time. 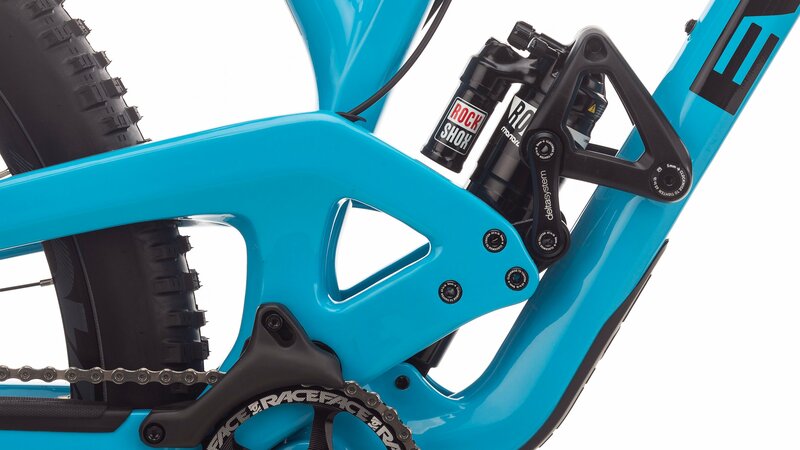 The RockShox Reverb Stealth dropper post makes transitioning from climbing to descending easier than inflating your tires. If you're looking for the ultimate 29er mountain bike, then you'll love The Wreckoning XTR Jenson Bike by Evil.